Many people are unaware of the scale and beauty of Skidaway, an intracoastal waterway located off the coast of Savannah, GA. This area of coastal Georgia is home to 378,000 acres of saltwater marshes full of wildlife. 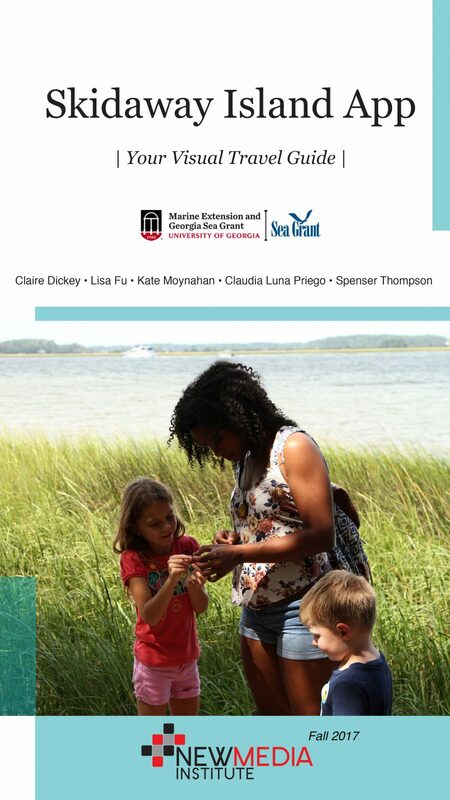 In the fall of 2017, UGA Marine Extension on Skidaway Island partnered with a team of students from the New Media Institute to find a way for people to appreciate the wonders of the island with ease and encourage them to explore the natural wonders of that the Georgia coast offers. This easy-to-use iOS application offers a variety of features to engage visitors, like interactive nature trail maps and facts about native marine life, and by incorporating events, news, and social media outlets, users have access to everything they need to plan their perfect getaway to Skidaway.